​Bank of the West is a strong and prudently managed bank that customers have entrusted with their money for over 135 years.For more than 135 years, our bank’s foundation has been our relationships with customers. ​Amcor is a global leader in the manufacture and marketing of Stelvin® closures and tin capsules for the wine & spirits industry. Stelvin®, the original wine screwcap developed more than 50 years ago, is the market reference. The Stelvin® closure uses specific liners that respect the aging process and deliver uncompromised flavors and aromas. 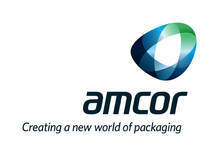 Amcor has also been manufacturing premium tin capsules for over 150 years. Yelp is a website and mobile app that connects people with great local businesses - anything from restaurants, bars and spas to dog groomers, mechanics, even dentists! The Yelp community is made up of engaged locals who connect online and off to share their opinions about local businesses. Air France is a leading global carrier operating 1,500 daily flights in Europe, Africa, the Middle East, Asia, and the Americas. Air France offers a modern fleet equipped with a full range of travel options bringing the best of French culture on board each flight. Wherever you may travel in the world, Air France will take you there with style, comfort and a decidedly French touch. The Village is a fully customizable San Francisco venue designed specifically for event planners and special events to creating different environments for catering, interactive media, presentations, receptions and more.